The overall risk of a Zika virus outbreak across the European region is low to moderate during late spring and summer, according to a new risk assessment published today by the WHO Regional Office for Europe. While this risk varies across the region, it is higher in countries where Aedes mosquitoes are present. “With this risk assessment, we want to target preparedness work in each European country based on its level of risk,” said Zsuzsanna Jakab, WHO regional director for Europe. WHO will convene a regional consultation in Portugal from June 22-24 to examine the conclusions of the risk assessment and identify countries’ needs, strengths and gaps in relation to preventing and responding to Zika virus disease. The risk was assessed based on two factors—the likelihood of Zika virus spread and existing national capacity to prevent or rapidly contain local transmission. The likelihood of local Zika virus transmission is high in limited geographical areas in the region—the island of Madeira and the north-eastern coast of the Black Sea—the areas where Aedes aegypt mosquitoes are present. Eighteen countries (33 per cent) have a moderate likelihood, owing to the presence of Aedes albopictus, a secondary Zika vector, and 36 countries (66 per cent) have a low, very low or no likelihood. Fourty-one (79 per cent) of the total 51 member states in the region have good and very good capacity, although specific capacities varied substantially. For the purpose of recommendations, WHO focused on the likelihood, not the risk, of Zika virus spread. For countries with high and moderate likelihood of local Zika virus transmission, WHO recommended strengthening of vector-control, particularly for areas with Aedes aegypti. The international body also recommended equipping health professionals to detect local transmission of Zika virus early and capacity building for Zika virus tests. 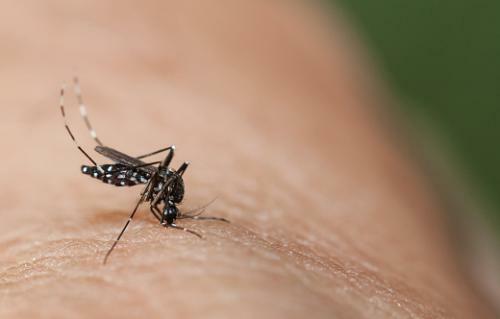 It added that countries should encourage communities to reduce mosquito breeding sites and enable people at risk, especially pregnant women, to protect themselves from infection. “All countries should focus on detecting imported cases of Zika virus early and providing public health advice to travellers to and from affected countries, including on sexual transmission,” the organisation added. WHO is scaling up efforts to provide guidance on vector control, to facilitate the shipment of samples to WHO reference laboratories or deliver diagnostic tools for local testing and to advise on risk communication and community engagement. “Our support to countries in the Region to prepare for and respond to health risks such as Zika is a key aspect of the reform of WHO’s work in emergencies,” said Nedret Emiroglu, Director of the Communicable Diseases and Health Security Division, WHO Regional Office for Europe.